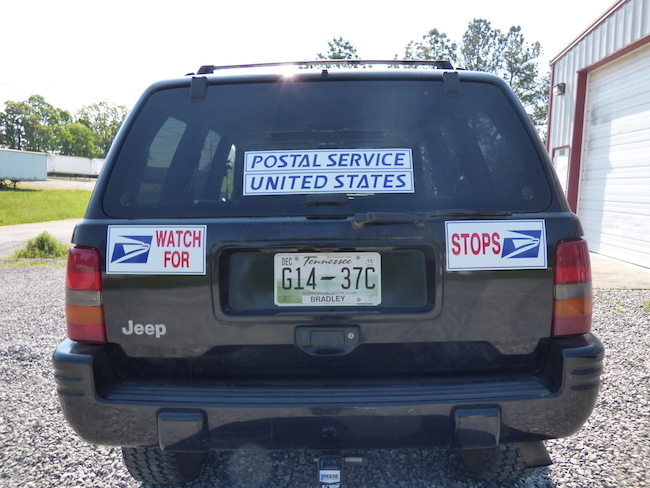 Postal Things Inc. has designed and developed a safe and economical system to convert selected vehicles to right hand drive for the rural letter carrier. This system comes complete with all that is required to do the right hand drive conversion. Install-it-yourself or have one of our associate distributors complete the installation for you. Either way, your RHD conversion will become a very efficient rural route vehicle for the postal letter carrier. Our RHD conversion kits are fully guaranteed for as long as you own your rural route vehicle so there is no need to worry when you purchase a right hand drive conversion kit from Postal Things, Inc.
"Rain and snow may not deter you from your rounds", but there is no need for letter carriers to be wet and cold (or hot for that matter) with our new patented Flip Window. The Flip Window provides comfort and protection in all weather conditions for the rural letter carrier. It is just the thing for both the right hand drive conversion and factory right hand drive Jeep Cherokees. The “Flip Window” is available for many of the popular route vehicles. Please give us a call for availability and to order one for your vehicle. We offer custom Mail Trays and complete sign and magnetic door protector packages. 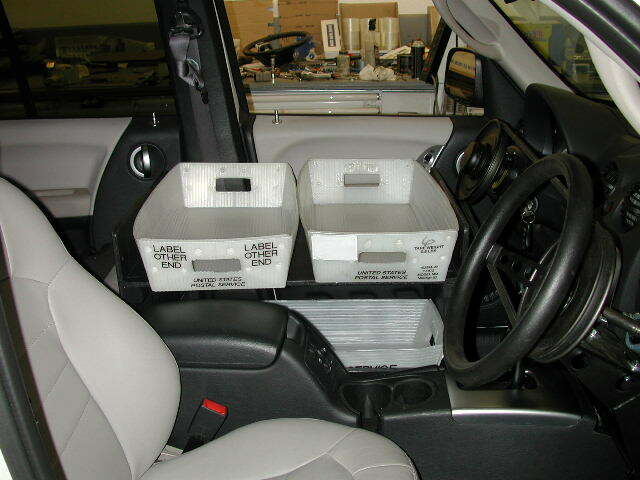 These and other items are available to make the rural letter carrier’s vehicle "a great place to work". Our Strobe Light will help to make the rural carrier a little bit safer while on the route. Please phone or email us for more information about right hand drive conversions and news of other new products being developed for the rural postal carrier. We are also working to make right hand drive conversions and other products available for other makes and models of vehicles to be converted to RHD. Call us to order a RHD conversion kit and have it shipped to you, or come and see us and enjoy standard services with a professional installation. Many tourist attractions like the Tennessee Aquarium, etc. For more information or to schedule a day for your conversion, just give us a call at 1.800.949.5587. We Accept: Credit Cards and Cashier's Checks Sorry, no personal checks. Our hours are 7:30 am - 3:00 pm (EST) Monday through Friday.